Apparel Pro is a very family oriented company. As you may or may not know, we are family owned and operated and have been from the beginning. We also have multiple employees that have family members work together for us. If you have not been into our store recently, then I would like to introduce you to some of our new family members! In our main 240 gallon, in wall, salt water aquarium, we currently have about 20 fish with more on the way. And if you look close enough, you will see that the head of our stethoscope houses Jellyfish (yes they are real). Make sure you check it out next time you are in the store. Kids love it too! ApparelProUSA.com is our website. But sometimes it is hard to remember. We now have a new shorter, easier to remember domain name that will re-direct you to our website! The long awaited Smitten is here! Brand new styles of NRG are in! Incase you have not been in.... We are now 9,000 Square Feet of shopping! New Dickies Xtreme Stretch are in! New Greys Anatomy T-shirts are in! 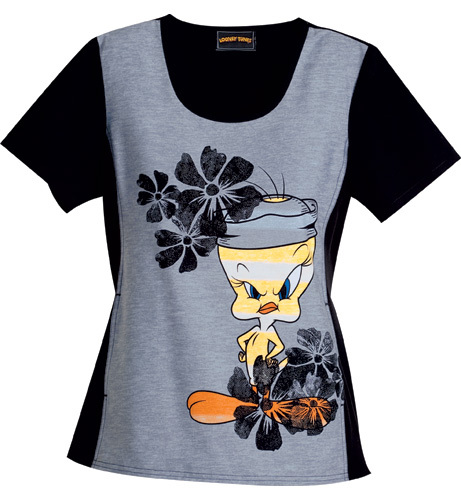 New Limited Time Only Tweety Top! A scoop neck top features contrast binding around the neck. 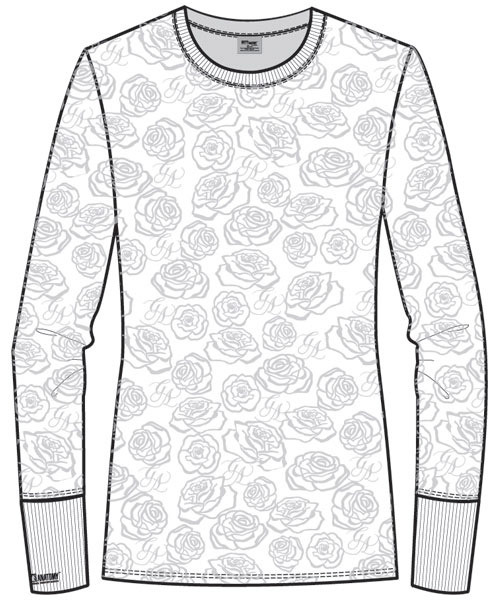 It has hidden inseam pockets and the front and back side panels are soft contrast knit. Center back length: 25 1/2"
All Urbane is on closeout until August! Up to 50% off normal retail prices. While supplies last, so hurry! We just added a ton of new shoes to our Blowout Section! Check it out before they are all gone! Apparel Pro is dedicated to our customers, so we have just updated our website to make shopping with us easier. You will notice new features such as easier navigation and a more user friendly layout. Check back frequently as we will be using this blog to announce promotions, new product releases as well as important event news. From the team at Apparel Pro, thank you to our loyal customers for making this possible!